ITV has appointed former Royal Mail corporate affairs director Mary Fagan as its new head of communications. 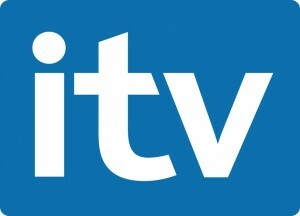 Later this month, Fagan will officially join ITV as group communications and corporate affairs director, replacing Ruth Settle, who is leaving to set up her own PR firm. Fagan will report directly to ITV chief executive Adam Crozier, who she previously worked with when Crozier was chief executive of Royal Mail. She will also take a place on ITV’s management board. ITV director of communications Mike Large, director of programme publicity Zoe McIntyre and director of public affairs Nigel Warner will all report to Fagan. In a statement issued to Broadcast, Crozier said: “Mary has a wealth of government, corporate affairs and communications experience. I’m looking forward to working with her as the transformation plan unfolds over the next five years. Also today, it was announced that ITV’s director of group development and strategy Carloyn Fairbairn is to leave the broadcaster after four years. She will be replaced by Simon Pitts in the newly-created role of director of strategy and transformation.